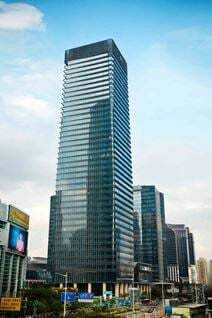 Located on the 55th floor of this ultra-modern and prominent landmark office tower, this professional business centre is in the heart of Luohu's Central Business District. With panoramic views of the urban skyline the fully furnished and flexible office space is sure to impress clients and inspire staff. The space boasts a direct link from the building to Metro Lines 1 and 2 - making commuting around the city quick and convenient. Situated in the tallest building in Nanshan, this flexible and fully furnished office space is ideal for domestic and international companies alike. Opening September - This space provides a productive hub creatives who love to be part of a network. With bright and open working areas, in all shapes and sizes this space offers a business club for co-working, beautiful private offices and designer meeting rooms to work the way you want and in the best way that serves your business. Located in the buzzing central business district of Shenzhen, in a neighbourhood which offers plenty of exciting things to do like sightseeing through Shenzhen’s modern architecture or taking a trip though specialty markets all to get creative ideas coming. 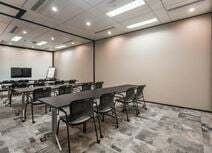 With a subway station right beside the front door this space is in a prime location as you to travel anywhere in the city without wasting too much precious work time. This space has super-fast WiFi and caffeine on tap, not to mention fees that include everything and on your terms! Your business will have the capacity to upsize and downsize on whim without any strong lock-in contracts. 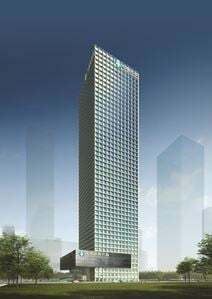 Located in the heart of Futian Central Business District this brand new, modernly styled office space will perfectly meet your business needs. On site services include high-speed networks, print, copy and scanning facilities, conference rooms, lifts and conference telephone systems with incredible common facilities such as a luxurious double lobby fitted out with an open super kitchen equipped with intelligent and automated equipment to help food handling and cooking, a bakery which serves soft European bread, and a buffet which serves over 100 drinks for free. Local to many five-star hotels and many fortune 500 companies, this space is great for those travelling in from other locations or looking to create strong networks. Easily accessible via most transportation types also, making this centre a great option for your business needs. This premium listing is located close to Futian Station and Shopping Park Station, offering clients convenient access to and from the office via public transport. The center offers the option of both private and co-working office solutions and features a wide range of business support services and facilities. There is a rooftop lounge area available to tenants - perfect for meeting with clients or enjoying a cup of coffee in the fresh air. This brand new and prestigious building has a fantastic location just 15 minutes from the Hong Kong border and one-minute from the Metro station. The modern fully furnished office space is available on flexible lease terms and puts you at the heart of the CBD. 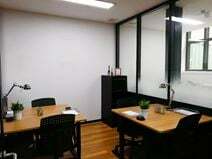 Office space prices ranging from ¥1000 - ¥7800 per month. Opening soon. A fully-furnished office space with floors of co-working and private offices. Refreshing fruit water and micro-roasted coffee is available. Meeting rooms are kitted out with conference facilities, large TV screens and A/V gear. High speed Internet keeps your operations running smoothly. Positioned a 25 minute car journey from central Shenzhen and 29 minutes' from Shenzhen Bao'an International Airport. In the vicinity, there are many shops, restaurants and cafes. Also, there are several hotels located nearby. Houhai metro station is a 23 minute stroll away. 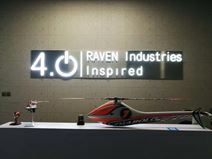 This technology business park is home to major local and international companies including Huawei, Intel, Sanyo and Alibaba and is ideally located within walking distance of Keyuan Station. The fully furnished offices can cater for up to 100 employees while there are large breakout spaces and landscaped gardens. A recently renovated office space that includes: privates offices, meeting rooms, virtual offices and co-working spaces. The centre is kitted out with ergonomic furniture. Step out onto the outdoor seating area to enjoy your lunch, fresh air or a chat with a colleague. Phone booths are perfect for quiet phone calls. Conveniently located in the core financial area of Houhai Nanshan district. It is a three minute stroll to Houhai station, which serves line 2 and 11. Nearby there are a great number and variety of cafes, restaurants and fast-food joints. There are also several hotels close-by. A variety of workspace types are on offer here open spaces filled with like-minded individuals bringing in inspiration; fully furnished private offices customized to suit your needs. 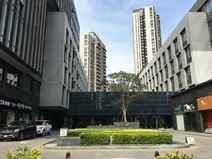 A prime location with a strong sense of entrepreneurial spirit, this center is close to Shenzhen Bay Venture Plaza, a software industrial base, and a new Tencent building. Food and beverage facilities as well as retail, financial and accommodation facilities are locate nearby, and it is well connected to trains and buses. The centre is in Huanggang Road. You can easily come to the centre by bus and it is just five minutes walking distance from the bus station to the centre. The centre provides phone booths for conducting private calls and video chats, fruit water to keep you hydrated, meeting rooms for you to hold a meeting, cleaning services to tidy up your work place and social event for you to join so you can meet up with your coworkers. A selection of office spaces is available to let in a landmark building in Shenzhen. Set in one of the most dynamic and active business areas of the city and surrounded by renowned businesses and companies, this building offers office solutions which will enhance the image of your company. The building is excellently served by public transport and well connected to the motorway network. Here is a prestigious address in Shenzhen. High quality office space for lease, featuring an impressive lobby and reception, superbly designed workspaces, a large video conferencing room, several meeting rooms and a boardroom, high-tech IT and telecommunications infrastructure, a business centre, for faxing, copying, scanning, executive shower and rest room, and a business lounge with complementary tea and coffee and business newspapers and magazines. The building is only 5 minutes’ walk from Luohu Port Train Station and 2 minutes’ walk to the subway, and there are numerous banks in the area. This business centre possesses unusual features such as a central atrium, external roof garden and metal sunshades on the western side to help maintain the building's internal climate. It is located in Shenzhen's Futian district, the economic, cultural and political centre of the city. The International Chamber of Commerce and Industry and the Shenzhen Exhibition Centre are only 5 minutes’ walk, and it is nearby the Sheraton Hotel and the Exchange Building. A center situated in a class A building in the central business district area of Shenzhen. Connected closely to the Convention and Exhibition Center, this center has great access to the underground station that provides access to subway lines 1 and 2. A leading professional workspace operator this center offers super studios and joint office areas perfect for new and mature companies with one to 300 employees. Premium amenities are available onsite that help you run your business with ease and encourage growth within a collaborative space. A high-end co-working venue located in the Futian District of Shenzhen with close connections to subway lines 1 and 4. Onsite, you will have access to premium facilities and business class services all to assist you in running your business smoothly. This center is a beautifully, naturally lit space with panoramic views of the mountains, ocean and city, providing views that will wow your clients and associates. Close to restaurants, shopping malls and high-end hotels among other facilities, this center has great access to all you or you out of town associates could need. The centre is in Kefa Road. You can easily come to the centre by bus and there is only ten minutes walking distance to the centre. The centre provides phone booths for conducting private calls and video chats, fruit water to keep you hydrated, meeting rooms for you to hold a meeting, cleaning services to tidy up your work place and social event for you to join so you can meet up with your coworkers. Found in the Nanshan District this centre is a mere 30-minute drive to Hong Kong and is one of the reasons why a number of international companies including Philips, Siemens, and Lenovo have a base here. Only a five-minute drive to Shekou Portal and an eight-minute walk from the Shuiwan Metro Station, this high-end creative office space is ideally located in the Qianhai Special Economic Zone and provides fantastic, inclusive on-site facilities and business services. Clients benefit from 24 hour access to the building, free refreshments and access to a 360 degree sightseeing elevator which is sure to leave a lasting impression on your clients. This office space is located in the vibrant Sea World area of Shenzhen and provides serviced offices ideal for between two and 10 people. The centre is located in the Shenzhen, The centre is surrounded by many office buildings around and the business atmosphere is strong. The location is excellent, and the traffic is very convenient as it adjoins Hong Kong. The centre provides a gym room, coffee bar, book bar, multi-purpose hall, open road show area, meeting rooms and other supporting facilities. Bus stations and the metro are a short walk away from the space. A superb location in the heart of Shenzen's financial and commercial district, surrounded by banks, hotels, schools and retail. These fully serviced offices provide a host of high-tech support services, and enjoy excellent transport connections. The centre is in Shennan Ave Futian. You can easily come to the centre by metro at Gangxia North Station or by bus and there is only few minutes walk to the metro and bus station. The centre provides phone booths for conducting private calls and video chats, fruit water to keep you hydrated, meeting rooms for you to hold a meeting, cleaning services to tidy up your work place and social event for you to join so you can meet up with your coworkers. Situated in the heart of Futian, this business centre is highly accessible and close to many shops and eateries. 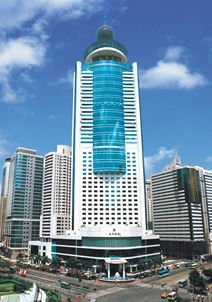 This is a premium office tower offering wonderful views and a range of office suites. This serviced office space is situated within the vibrant Futian CBD in a Grade A office tower. The 14th floor setting provides great views of the city and is close to the Shenzhen Convention and Exhibition Centre. This building is situated in Shenzhens financial centre. With easy access to multiple locations, this centre provides high standard serviced offices with all the business services you could need. A comfortable and professional business environment. This office is spacious and comfortable, located at Futian free trade zone near Hong Kong Lok Ma Chau border. The quotation price covers management, cleaning, reception and meeting room fees, and of course you may hang an A4 size Logo on exterior wall. This location is perfect for design, warehousing, exhibits, export and import industries. It is near the Hong Kong border and Shenzhen convention centre while there are also numerous restaurants, hotels and shopping centres nearby. The building is at the center of Shenzhen’s Houhai Headquarter District. It will become a worldwide recognised landmark. It provides high quality sports, hospitality, and business facilities right on their doorsteps. It also provides Expert IT Support and Infrastructure with 24/7 access. The centre is in Xixiang street, Bao’an District. You can access to the centre easily by metro of line 1, line 11 or by bus at Yintian industrial zone Xixiang coach station. Bao’an international airport is just fifteen minutes drive from the centre. The centre provides IT support, administrative support, copy and printing facilities, parking lot, high speed internet, all day security and all day access for members daily use. Just a 10-minute drive to the Huanggang border crossing to Hong Kong, this business centre is situated on the 23rd floor of a landmark building. 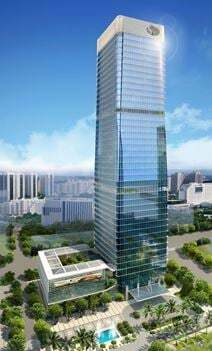 Offering a range of office solutions, and close to many of the citys municipal facilities, this is a superb location for your business in Shenzhen. This office space is situated in a designer finance structure in the heart of Shenzhens banking district. It offers luxurious serviced offices and high-spec IT and telecoms, as well as bilingual business support. The premises enjoy very easy access to public transport and are close to 2 airports. The centre is in Yutang street, Guangming District which is a new economical growth and Artificial Intelligence industrial area in ShenZhen. You can come to other major cities of Pearl river delta within thirty minutes. The centre provides 24 hour access, 24 hour security, air-conditioning, conference facilities, dedicated internet, furnished offices, IT support, meeting rooms, parking lot, reception services, shared internet, telecoms and high speed WIFI for the members. Close to banks, restaurants and world-class hotels, this is a Class A serviced office centre. Spacious, light offices, high-tech IT infrastructure and friendly, professional support staff make this centre an excellent solution for your business. Overlooking the Shenzhen Civic Centre, and in close proximity to the Shenzhen Convention and Exhibition Centre and the Hong Kong border crossing. Each office suite is fitted with quality furnishings and generous filing space. Grade A, fully-furnished office suites to let in a modern and uniquely designed complex. These office suites feature executive facilities, high-tech communications systems, security and professional business support and services. The complex is in the heart of the new Futian CBD, minutes’ away from the customs border with Hong Kong. The location is excellent, being right next to the prestigious Shangri-La Futian Hotel, within easy reach of Shenzhen Convention and Exhibition Centre, and overlooking the Shenzhen Civic Centre. Opening soon. Private offices and co-working solutions are available at this space. Frequent professional and social events are a great way to develop a strong team bond. Well-equipped conference rooms, which include A/V gear are available to book. Step into one of the soundproofed phone booths, where you can conduct video chats and phone calls. The onsite management team are there for you during the working week, and provide reception services such as mail handling. Positioned on Zhongxin Road, in Nanshan District. For those who drive, parking is available four minutes' walk away at Junhui Xintian Garden Parking Lot. Haiyue metro station, which serves Line 2 is a 7 minute walk from the space. In the vicinity, there are several fast-food joints, restaurants, convenience stores, and shops.